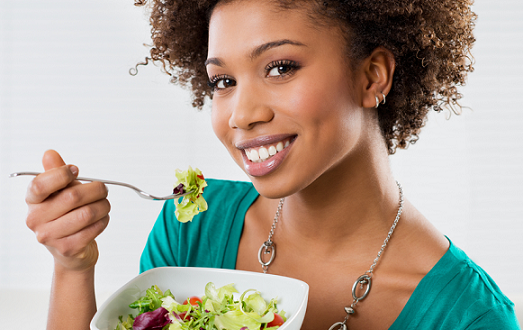 Are Your Skin Conditions Being Triggered by Your Diet? You are what you eat– or are you? As a practitioner in Dermatology, patients seen for acne often ask if greasy foods, sugar or lack of water negatively impacts the appearance of their skin and acne. I do believe that if you are eating healthy whole foods, low sugar, high fiber foods and taking in enough water your skin and overall health in general tends to reflect this. There is limited evidence that supports this. Acne patients were found to have improvement (decreased oil production, decreased inflammation/redness) in their skin/acne after 10 and 12 weeks of a low sugar/low fat diet. Studies have shown a weaker association between acne and dairy consumption although dairy may have an effect in the skin of some individuals. Further research is warranted, however there has also been some evidence in clinical trials that show improvement in acne with the use of Omega-3 fatty acid supplements and minocycline with probiotics. With the research that has been done on diet as it relates to acne, there are no common foods that have the same effect on every person so the findings are somewhat unclear. Each individual can respond differently or maybe not at all. If you are being treated for acne and continuing to experience breakouts, attempting to eliminate a few of the common “trigger” foods (chocolate, dairy and or greasy foods) at a time may or may not work for you. Dietary changes may play a therapeutic role in rosacea. Individuals who suffer from rosacea are usually very aware of foods that “Trigger” flares in their rosacea. Common triggers include anything heat or alcohol related, Capsaicin (found in spices) and cinnamaldehyde (found in cinnamon, tomatoes, citrus and chocolate) related. Research indicates that diet may also impact rosacea via gut-skin connection and it has been found that Crohn’s disease, Celiac disease, ulcerative colitis, irritable bowel syndrome, small intestinal bacterial overgrowth and helicobacter pylori infection are more prevalent in patients with Rosacea. There is ongoing research in this area however is it reasonable to take measures to promote healthy gut microbiome including a diet rich in fiber. 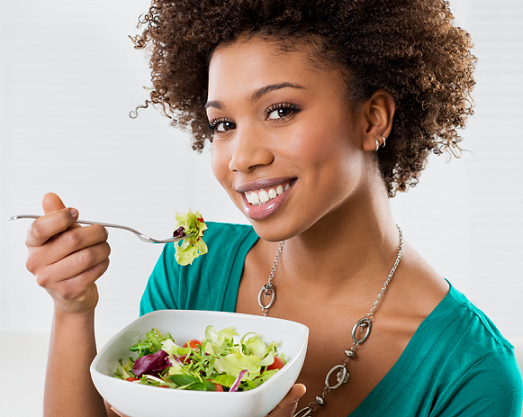 A healthy Diet is encouraged in individuals with psoriasis due to the increased risk of comorbid conditions including diabetes, heart disease and hypertension. The severity of psoriasis correlates with obesity/higher BMI. Alcohol consumption and smoking are well known triggers for psoriasis which may exacerbate Flares. A common dietary trigger may include Gluten containing foods. Consuming a gluten free diet may result in improvement of Psoriasis as demonstrated in small clinical trials however further studies are needed for confirmation. Changes in diet that lead to weight loss can result in better treatment efficacy with an improved response to systemic medications used to treat Psoriasis. Lifestyle factors such as smoking and sun protection play a significant role in how your skin ages and these are two of the more common facts that are reviewed by your dermatologic practitioner. It is very well recognized that Diabetics experience poor wound healing which can have an effect on collagen and can promote skin wrinkling. Higher levels of blood sugar can lead to cross linking of collagen fibers resulting in decreased or loss of elasticity in diabetics and nondiabetics. So its possible that as blood glucose levels increase perceived age can increase as well. Beneficial dietary changes to combat the natural process of aging include antioxidants in whole foods such as fruits, vegetables, tea leaves and seeds which may also help in limiting skin damage from ultraviolet radiation. Vegetables, legumes, olive oil and a diet high in vitamins A and C and potassium appeared to protect against actinic damage and correlated to fewer wrinkles. There are a number of other skin conditions that may have some dietary implications. We have discussed a few here however It is difficult to correlate with certainty the subject of diet and its relation to skin due to the variability of patient response, limitations of research and inability to provide definitive resolutions that would apply to every patient. Overall I think it is best to use this information as general recommendations to go by until further research is done. Controlled dietary trials would be very challenging considering it may take months to years before the health benefits of diet are reflected in skin. Changing your diet is unlikely to “cure” any of these disease condtions however its possible that making some changes along with traditional medicine may help with healthier skin and ones health in general.